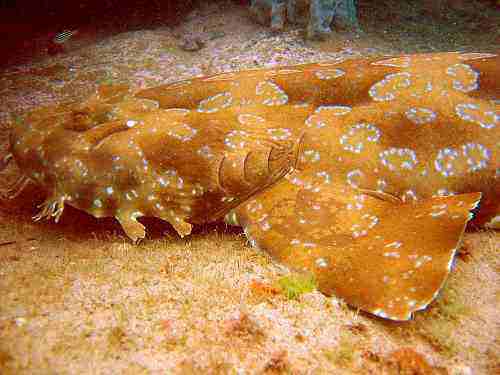 Wobbegong are carpet sharks that reside around Sydney’s rocky shoreline. They are usually found by divers as they tend to be at depths 5m+. They are often seen at ‘The Cathedral’ and ‘The Apartments’ dive sites along the Long Reef shelf drop off. Article written by Carly. Image found on Wiki.